Whether you aim to work at (or open your own) state-of-the-art mixing or mastering facility to deliver professional recordings for paying customers or whether you wish to create and release your own professional-level music, you’ll need a firm grasp on the tools and techniques of music production. 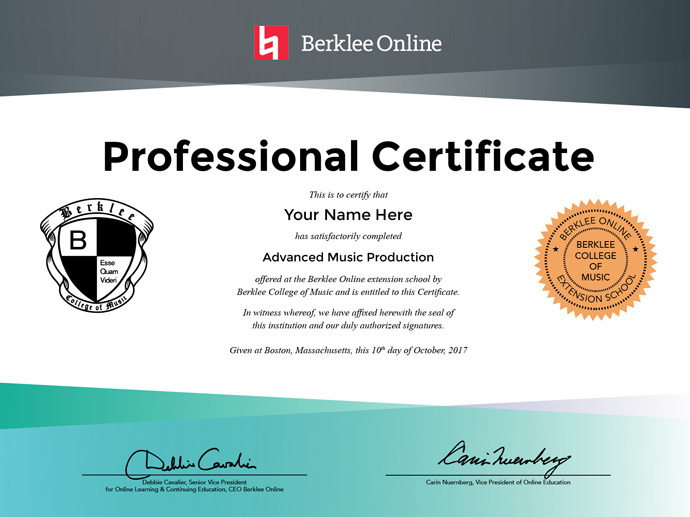 In this advanced certificate program, Berklee’s incomparable music production faculty will guide you through the art of mixing, the most effective microphone and audio mastering techniques, best practices for vocal production, and creative music production skills. Bridging theory and practice, you’ll learn the art and the science of producing great music on any digital audio workstation (DAW).